Case Study: LAVO app – Know your customers and get the right people on board. LAVO is a mobile app in the social media domain. Users set, follow and respond to video ‘challenges’, where they capture exciting moments and add music to bring their footage alive. Founded in 2015, the Norwegian company bootstrapped until the first angel investment round in 2016. “I had an idea around live streaming for a younger target group, where the consumer behaviour was constantly changing and the content needed to be cool. The product evolved into a challenge app, where publishers and the audience can interact, share, stay up to date and have fun together. We bootstrapped initially, and the first investors came from the Bergen Angel Network in September 2016. The network consists of 40-50 early investors and five of them wanted to join the team, investing a total of NOK 2 million in that round. Since then things have moved fast. The second seed round was done with help from a small advisor team in Oslo, Eikeland & Ravnaas, who put us in contact with Tom Erik Kjeseth, an award-winning film producer. He wanted to join the company because he liked the way we were working with floating media, film effects and music. Kjeseth also invested NOK 2 million and is now very involved helping us build our creative strategy. The last seed round was closed with top-notch investors – big real estate owners in Oslo. Brothers Øystein and Torstein Tvenge are among the most successful investors in Norway, investing mainly on the Oslo Stock Exchange but also investing in startups where they see a huge potential, as they do in Lavo. They were so bullish in the first meeting, I thought they wanted to buy the whole company! However, we secured the cash needed, NOK 8 million (approximately $1 million). I think a lot of our success comes down to understanding our customer. I talked with two important organisations who represent LAVO’s target group. 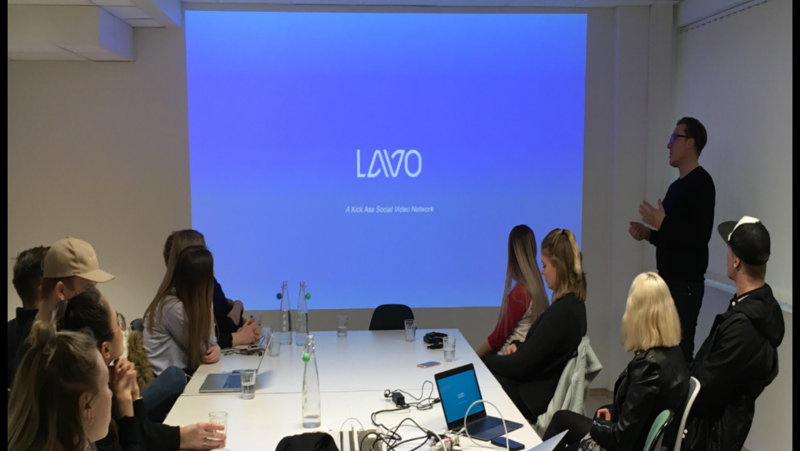 We conducted workshops to learn about their behaviour, needs, trends, what´s cool, what topics are important, and other patterns and I learned a lot about the type of product LAVO could be. We also spoke with a Norwegian TV channel who wanted a product that gave their audience more interaction, which gave me more drive and motivation to fine-tune LAVO. As the product evolved, I questioned just about everyone: producers, content creators, talent, and musicians, until LAVO had a perfect place in the middle of the matrix. We challenge content producers to interact with their audience and at the same time the audience is more involved than ever before. We are adapting to changes in user behaviour, and the investors see this as the way forward. I would say that the most important thing we’ve learned is to work with good and smart people who believe in you and what you are doing. This also means getting the right investors. Our investors have delivered both hard capital and intellectual capital, as we expected. As a startup you are often good at the product or service the company provides, but growing the company constantly, raising funds, is beyond your full control. So getting on board investors that know that part of the game, and that can also participate in many rounds of early fundraising, is important. Spoiler: Dragon’s Den isn’t real! 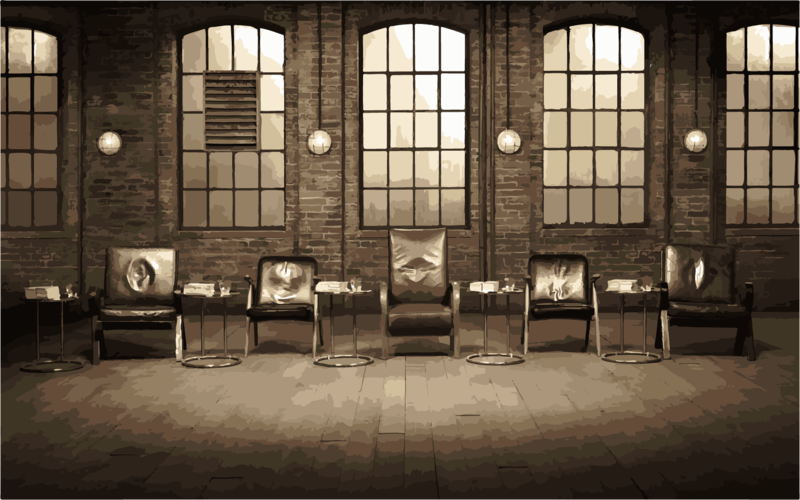 Many first-time entrepreneurs base at least some of their knowledge of business angels on the popular TV show Dragon’s Den (Shark Tank in the US and Australia). Here, a few entrepreneurs pitch their business ideas in front of a group of business angels (typically, famous super angels) who then – based on the pitch – decide if they want to invest or not. It never works like this in the real world. Ever. 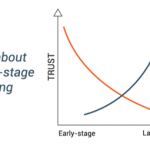 Business angels need to evaluate not only the idea but also the people behind it and the traction (how far they’ve come); in other words, all that’s needed to build the necessary trust in the business and founders, on which all angels build their investment decision. This can’t be covered in 15 minutes. It makes great TV, but it’s not real! I am not suggesting the deals made on TV are fake – they are real, and it makes sense for the angels to do the deals on stage, given the huge publicity it gives them which more than pays for the additional risk of investing in unknown companies. But in the real world you can’t get funding after a 15-minute meeting with the business angel! I have been an entrepreneur my whole life – a high school dropout, a hustler, dreamer and a rebel. So when I found myself driving Uber after a public and ugly divorce, it didn’t take much for my brother Sindre to talk me into starting a new venture, providing home cleaning the ‘Uber way’. In Norway, there are maybe five to ten thousand people cleaning on the black market. This intrigued me because it shows a group of people who want to work and deliver their services in a legal way, and it also verified a market which we now suspect to be worth €500 million. We’ve been pretty laid back about funding, so when we won the Angel Challenge in May 2016, we’d already been through absolute hell. It’s not easy to find hippie investors! It was actually an Uber passenger who introduced us to our first investor, Emil Pete, who shared our values and became a good friend. Emil’s investment gave us our first 300,000 NOK in January 2016 and we received a further 250,000 NOK investment from his father, Frank Pete, the following month. By March 2016, we were pitching on a 15 million NOK pre-money valuation and were at the final stage with many of our bids. We were still bootstrapping but we were confident in the market and watching the business grow every day. The Angel Challenge was a great achievement. WeClean beat 19 other strong startups to win 1.3 million NOK in the form of a convertible loan. It felt fantastic and also incredibly scary that someone believed enough in us to give us their savings; there was a real feeling we had to prove ourselves. We did, winning 100,000 NOK in the Telenor Digital Challenge the following month. Throughout all of this, we’ve stuck to our values of Peace, Love and Good Times. We wanted to change the world and shamelessly claim that we’ve already made a start. Our weapon is our service (cleaning) and our altruistic mindset – our cleaners receive a portion of our profits and not one of us is above cleaning ourselves. Our big goal is sustainability which means we avoid huge administration costs. We say if you’re too cool to clean, you’re too cool for us! We did look for funding from a corporate partner and this didn’t go well. As we entered into discussions with Lilleborg, who had their own range of cleaning products and could train our cleaners, it looked like an exciting collaboration. But after some talks about partnership and possible investment, their parent company Orkla launched a concept very similar to WeClean. According to them, this project had been active for over a year, long before we entered discussions with them! This kind of behaviour does happen, but Orkla won’t succeed because they don’t know how to live our values, even if they copy our ideas. My advice to entrepreneurs would be that no matter who you are pitching to, you have to drag them into your own universe. Never let anyone drag you into theirs. It’s important to have faith in your product and not accept funding from just anybody. Our first investors believed in us and our values. Since Orkla, we’ve received a further investment of 500,000 NOK from Frank Pete, who will soon convert the loan on a ten million NOK valuation because of the good faith he showed early on. 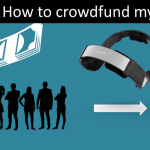 Tomasz Gidzgier, has written this cool introduction to getting startup financing in Sweden. Below I provide a brief introduction for the Swedish market that I have been researching while collecting materials for the book. ALMI – offices in every part of Sweden. ALMI provides the first initial grant which is not needed to pay back if the funding is used in the right purpose. Besides ALMI founds through convertible loans, helps with incubation and introduces to venture capital. Vinnova – Sweden’s official innovation agency based in Stockholm. Vinnova provides funding through a range of grants aimed at different industries. Recently they have opened up for more non research based projects. Tillväxtverket – Swedish agency for economic and regional growth. Specific local funds – every local municipality announces funding for local innovative companies/ideas. Specific industry funding – if you are in a particular industry check your industry’s trade organization and see what grants they offer. Industrifonden – Sweden’s official industry fund. Despite the size, sometimes they invest in smaller companies with global potential. If not investing they can open up for other contacts in their network which can provide initial investments. Representatives across whole country. Universities – check the local university near your location. Universities, especially those with Entrepreneurship master programs provide with initial funding possibilities or financing in form of free office space at an incubator or simply access to a broad expert/investor network. See for example Lund University Innovation System, Krinova or Chalmers Innovation. 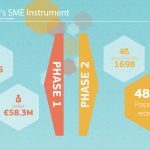 Venture Cup – nationwide business (plan) competition. It is widely discussed if business plans are needed or if one should only use a Business Model Canvas but the bottom line is that every Startup should have a short “steer document” laying out the foundations. If not for the prizes the competitions will give you media exposure and provide some structure to your organization. In general we advise entrepreneurs or wannabe entrepreneurs in Sweden to take a deep look around your local environment as there is guaranteed for sure a publicly backed support platform for entrepreneurs. There are so many local initiatives in Sweden but that it is beyond the scope of this article to present them all. Connect – the biggest Business Angel Network in Sweden. Besides being a network with nationwide offices, Connect has many international partners and organizes every year investment themed conferences across Sweden. Connect organizes as well a very important event for entrepreneurs – Språngbräda – during which entrepreneurs are invited to pitch their ideas for an investor panel. Check with your local office how you apply for events. Framtidslyftet – works similarly to crowdfunding. SeedfundIt – coming soon, works similarly to crowdfunding. Partners for Development investments in Life Sciences – organization for investments in Life Sciences for both entrepreneurs and investors. 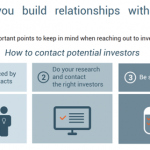 Partner Invest Norr – network for Business Angels and entrepreneurs. Roslagens Affärsänglar – Business Angel network. Spiltan – network of professionals from different industries who invest together in different ventures. Stockholms Affärsänglar – Stockholm Business Angel Network. Västkustens Affärsänglar – Business Angel Network on the west coast of Sweden. The good thing about Sweden is that in most cases the Business Angels are very active and open to being contacted via mail or social networks. They all feel urgency and commitment for enhancing the Startup ecosystem. Before contacting any Business Angel make sure you will find out enough to see what a particular individual is interested in and what his background is. You can easily find information online about the recent acquisitions or events organized by private Business Angels. Besides the Business Angels there is a second category of so called “Superangels” who invest together with Venture Funds. Again, make sure that you check your local environment for all kinds of organizations that can provide you with valuable information. The reason while we gathered Incubators, Accelerators, Crowdfunding and other support organizations is that all of them have things in common and their areas of expertise overlap. The ecosystem in Sweden is enough welcoming that each of those organizations are open to visit for every entrepreneur. Sweden has many active Venture Funds that have invested in the big well known successes and even some of them are running second “editions” of their funds. Spintop Ventures – a fund managed by private partners launching Spintop II soon. Creandum – probably Sweden’s most know Venture Fund. Uminovainvest – local fund in the north. Sörmlandsfonden – local fund in Sörmland. Sydsvensk Entreprenörfond – invest in small and large companies. Sting Capital – invest in early stages. Idenofonden – venture fund based in south of Sweden. Jonkoping Business Development – venture fund connected to Jönkopings Science Park. Industrifonden – Sweden’s official industry fund. Swedish Venture Funds are generally open-minded and eager to help out in all Startup ecosystem building activities or initiatives. 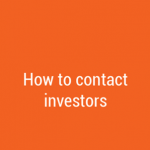 As for contacting them sometimes it might be as simple as looking up the contact details of a specific individual at a specific venture fund’s website. They will not make a decision quick but if your case is legitimate and you feel that you have something to say they will be able to advise you. If you decided to place your Startup in Sweden, you’re making the right choice for many reasons. One of them is that the common effort and commitment of everyone involved in the Swedish Startup Ecosystem is proving to be fruitful. Sweden based Startups are “hot” and draw the attention of foreign investors to great extents. At the same time as the initial company valuations tend to be low, it attracts foreign investors as they are getting more out from their investment. I know that the above list is brief and therefore not comprehensive, but hopefully a good starting point for entrepreneurs looking for funding in Sweden. Where do I find Danish investors for my startup? I am often asked by both Danish entrepreneurs and foreigners moving to Denmark about the different options for startup financing locally. Below is therefore a very brief introduction to that subject. Morten Lund (Skype), Jesper Buch (Just Eat), Martin Thorborg (Amino, Jubii etc. ), Morten Wagner (Freeway), Tommy Ahlers (Podio), Janus Friis (Skype), Ditlev Bredahl (UK2), Morten Strunge (Onfone), Thomas Madsen-Mygdal (Podio), Mads Peter Veiby (M1), Thor Angelo (LanguageWire), Kaare Danielsen (Jobindex), Moonis Kamil (Onfone), Niels Henrik Rasmussen (Secunia), Lars Torpe (Mach), Klaus Nyengaard (JustEat), etc. etc. The best way to find these is to look into who funded previous startups within the same segment/industry you are in. This you can find via news articles but also via company databases like www.proff.dk. I know the above list is brief and therefore not comprehensive, but hopefully a good starting point for entrepreneurs looking for funding in Denmark. 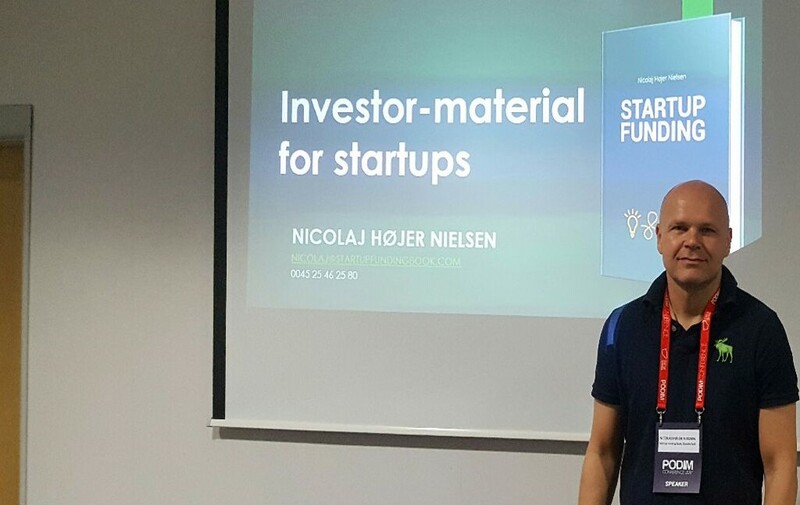 Feel free to e-mail me (nicolaj@startupfundingbook.com) if you think something is missing. Startup Funding Gab – or Knowledge Gab? There is a lot of talk about the funding gap that early stage startups risk falling into. 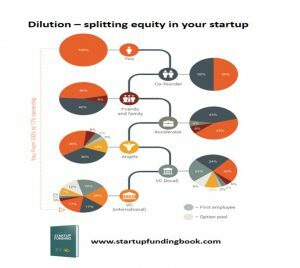 Personally I think that this gap is way smaller than most entrepreneurs believe, and there has never been so much “risk capital” available from venture funds, business angels, crowdfunding and other sources. Instead we need to address the understanding gap that exist between how founders and entrepreneurs think. It’s this understanding gap which most startups fall into. If entrepreneurs understood better how banks and investors think, they would know not to spend time pitching their early stage project to them and when the time comes to actually pitch, they would be much better prepared and have much better chance of success in securing funding. I’ve been involved in startups for almost twenty years, as a founder and an investor. I’ve seen it from both sides. I’ve made the mistakes, looked for funding in the wrong places, counted the money before we had it. I know how it feels to be you, an entrepreneur with dreams and a great idea. I also know how it feels to be approached by you as an investor. I know that unless you send investors like me the right materials, at the right time, with your great idea derisked and bootstrapped, we won’t fund you. I know how entrepreneurs like you think and I know how investors think. I’ve therefore written The Startup Funding Book. This book is about building that understanding and preparing entrepreneurs for if and when the time comes for pitching their project to funders (venture capital, business angels, banks, public funds, co-founders, employees). Most importantly this book is about what needs to happen, and what entrepreneurs need to do in the meantime in order to develop and derisk their startup project enough for it to become attractive to professional investors. I want to help you think like an investor, so you can be successful as an entrepreneur.